John Kaleka passed away peacefully on November 24, 2018 after a brief and courageous battle with cancer. John was born on March 25, 1938 in Winnipeg, Manitoba to Mary and Andrew Kaleka. He grew up, as he liked to reminisce, “on the wrong side of the tracks” in Winnipeg. As a young man, John worked for Manitoba Hydro in the fields of Manitoba, Ontario and Saskatchewan. In 1965, John moved to Alberta and worked for a short time with Calgary Power. His career focus changed when he started working as a salesman for Canada Carbon and Ribbon. John’s entrepreneurial spirit and his awareness of the growing opportunities surrounding the computer industry soon led him to start his own business, Adanac Carbon and Ribbon with his close friend, Doug Dysart. John was the soul and strength of Adanac and he led his company through nearly 40 years of prosperous business. John lived for over 25 years on his Bearspaw acreage with Bernice and their three children. 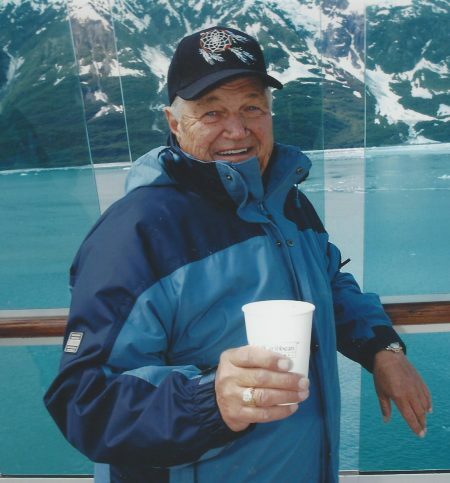 He enjoyed being a part of the vibrant Bearspaw community and he was actively involved with community clubs and events and with raising his children. 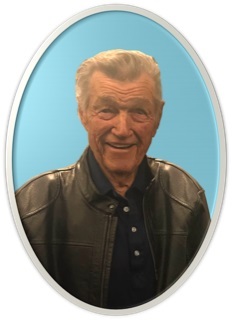 John was one of the original members of the Bearspaw Golf and Country Club and enjoyed many seasons of “average but enjoyable” golf with friends. 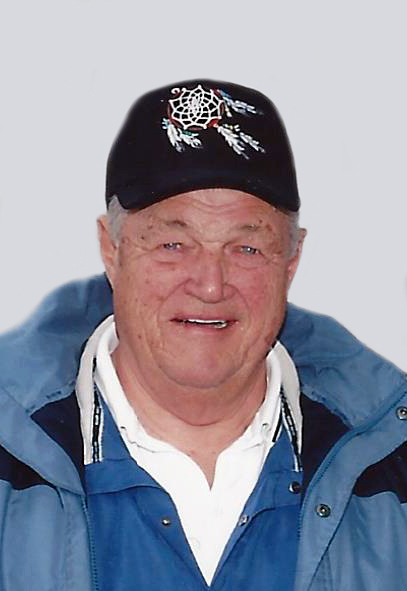 John spent the last 20 years of his life in Cochrane with Norma in their home on the Bow River where he continued to enjoy his family, his friends, and his beautiful backyard. John will be deeply missed by his supportive partner, Norma Mayor, his three children, Sherri (Keith) Luft, Jodi McCrady and Glen Kaleka, his grandchildren Ben, Meghan and Chelsea Luft and Katya and Mackenzie McCrady, Norma’s daughter Kimberly (Colin) Manz and their children Jason and Olivia, Norma’s son Brad, and his many friends and business associates. John was predeceased by his sister Jennie (Edward) Kubara. At John’s request, an informal celebration of his life with family and friends will be held at a later date. John, “Big Guy”, we will miss the sparkle in your blue eyes, your amazingly positive outlook, your unwavering optimism and your gift for conversation. We will remember your ability to treat every day as a gift and try to follow in your footsteps. On behalf of the Westbrook School staff, I would like to send our deepest sympathies on your family’s loss. Our thoughts are with you all. On behalf of the Fox’s we would like to send our deepest sympathies. Growing up I will always remember Mr Kaleka with his cigar in one hand and always laughing. Calling to my dad Hey Foxy….lol His laugh was so contagious that you could not help but stop and laugh. He always loved to bug us kids and make us laugh. Our thoughts are with you all. Sherri & family, I am so sad today to hear of your Dad’s passing. Such a kind & cheerful man! He always greeted & teased me in Ukrainian when I ran into him, at the bank I worked at or at Scott’s shop! He will be missed & remembered by so many. I am so sad to hear of the passing of your Dad. I have fond memories of babysitting for the Kaleka kids when you lived in St. Andrews Heights and then when you moved to the acreage in Bearspaw. Your Dad always made me feel comfortable for the 1/2 hour car ride back and forth to Calgary when he’d pick me up after you moved to look after you kids. He had a ready smile and an easy manner and we always had good conversations. I know you will miss him dearly and my hugs and prayers are with all of you. Chris and I just heard about John’s passing. Our thoughts and prayers are with you and the entire family today and forever. We are remembering sitting with you and John in your backyard, drinking wine/beer watching Boots and Abby play for hours. We remember John’s sincerity, his humour, his generosity. He was one of the good guys. He was loved. We will miss his terribly. If you ever need anything, please let us know. Sending all our hugs and love. I just heard about John’s passing today, and I wanted to let you know that his laughter and light will be always remembered. I have known John almost from day one of coming to Alberta back in 2006. He always had a smile and a ‘Newfie” joke for me, and I always tried to have a chocolate or some other treat for him in return (along with a smile). Thinking of you and yours today. May John rest in peace. I will never be able to thank John and the whole Kaleka family enough for being such an important part of my life. From meeting the Kaleka family in Maui and having such a wonderful time with them to being invited to the numerous get-togethers at the acreage to being so instrumental in start of my Motor Coach repair business based in the back of their warehouse in the McCall Lake area. I will always remember John’s sense of humor, his business sense, his cigars, but above all, his generosity.